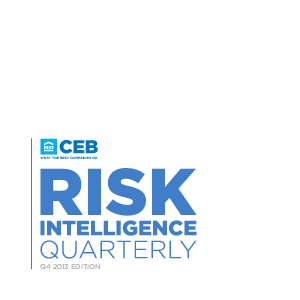 Are you prepared to manage the top 5 emerging risks? How will you fill gaps created by a retiring legal team? Is your compliance approach tailored to meet the needs of specific emerging markets? Do you have clear and consistent criteria to guide the company’s response to new legislation?